In 2014, more than 500 volunteers logged nearly 27,000 hours of volunteer service to the Vintage Aircraft Association. As a part of National Volunteer Week, we salute and honor each and every one of these amazing people. Please watch and enjoy administrator Erin Bruggen’s video below honoring our Vintage Volunteers. 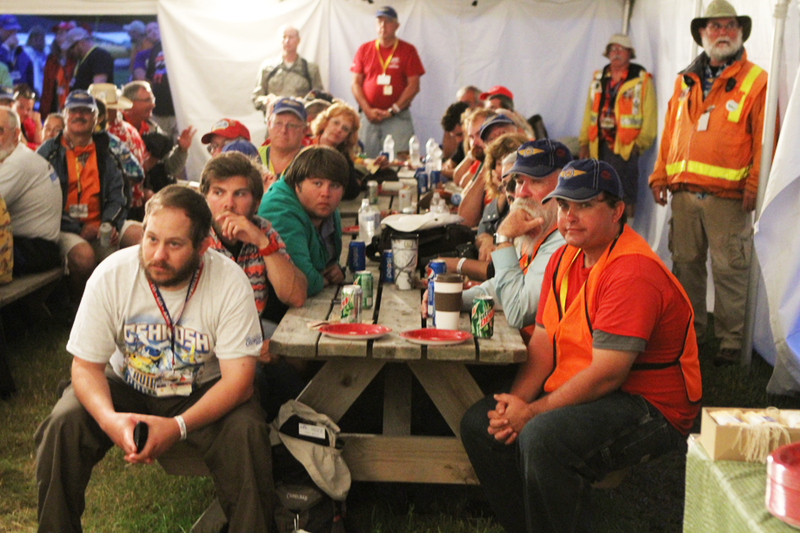 If you are a pilot or AirVenture guest and you recognize people you know, please send them your personal thanks. NATIONAL VOLUNTEER WEEK – See more than 500 volunteers in action. Thanks again, Vintage Volunteers. See you in Oshkosh in July. A few of our Vintage Volunteers finally relax at our annual Volunteer Pizza Party and Awards Ceremony. Thank you for a job well done.